Dr. Caple graduated college from the University of Arkansas at Fayetteville with a B.S. in Medical Science. Then Dr. Caple graduated with high honors from the University of Tennessee Health Science Center, College of Dentistry in Memphis, TN. At the University of Tennessee Dr. Caple received the following academic awards: American Society of Dentistry for Children, American Association of Endodontists, and High Honors Certiﬁcate of Merit. Dr. Caple then completed a two year residency program specializing in Pediatric Dentistry at the University of Tennessee. During this residency Dr. Caple completed rotations at St. Josephʼs Hospital, LeBonheur Childrenʼs Hospital, and Arkansas Childrenʼs Hospital. Our emphasis is on “prevention” both in the office and at home. We recommend regular periodic exams and cleanings as well as positive and thorough home care. Home care includes limited sweets, brushing two times a day, ﬂossing at least once a day, preferably before bedtime, and sometimes a topical application of ﬂuoride. Because the primary teeth form the basis of the adult dentition, we will do everything possible to preserve the integrity of your childʼs dentition while fostering a healthy attitude toward dental care. We offer a full range of dental services for children, adolescents, and the exceptional child, including restorative and preventive dental care. 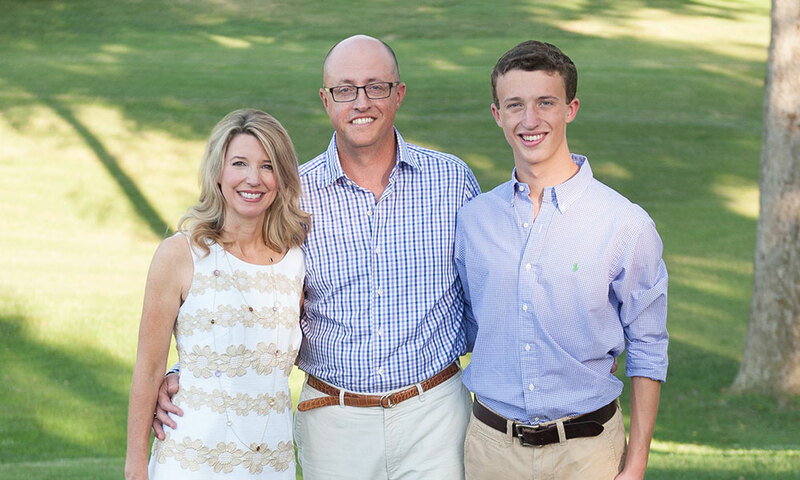 Dr. Caple was born in Little Rock, AR and raised in the surrounding area. At three years of age, Dr. Caple fell and knocked out his two front baby teeth. His mother rushed him to the Pediatric Dentist, Dr. DeBin. Dr. Caple had a great time at his ﬁrst visit to Dr. DeBinʼs ofﬁce. On their way home Dr. Caple told his Mother that he wanted to be a Pediatric Dentist when he grew up. He continued to see Dr. DeBin during his child and teenage years, and continued his desire to be a Pediatric Dentist. In 1995, after ﬁnishing his Pediatric Dental Residency in Tennessee, Dr. Caple opened his practice here in Rogers, Arkansas. He and his wife, Kristi, have been married for 20 years, and they have one son, Clayton who is 11 years old. Dr. Caple is an avid golfer and a hunting enthusiast.